The slowdown is hitting the auto industry hard, especially bike makers. 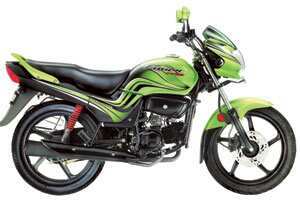 Hero Honda has managed to buck the trend due to its high volumes entry motorcycles. So, to keep the momentum going, the company has introduced the new Passion Pro Power Start. The 100cc bike aims to capture aspirational buyers who don’t want to spend too much. But that is not all from the market leader. To liven up its festive season sales, Hero Honda has also introduced facelifted versions of three other products. The 100cc Splendor NXG Power Start now has a slightly new look with new body graphics—besides the electric start, of course. The CBZ-Xtreme also gets a makeover. This 150cc bike now manages to look menacing, and stylish, with subtle yet sleek graphics and two-tone mirrors. This should help Hero Honda take some attention away from the TVS Apache, currently the hot favourite among younger buyers due to its mean styling. Finally, the Pleasure scooterette, endorsed by actor Priyanka Chopra, also gets a do-over—though the changes (like a new instrument panel) are so few that you might not really spot them. All the bikes are already available at Hero Honda dealers. Interestingly, Hero Honda did not organize a launch event for any of these products—it just sent out a press release. I guess the current slowdown will see companies saving every penny they can! Sony Ericsson will launch the HCB-150 in India by the end of November, and its expected price range is Rs5,900-6,200.